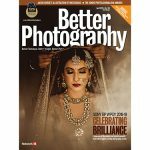 Better Photography has been the leading photography magazine in India for 19 years now. With a primary audience that includes serious enthusiasts and amateurs, the magazine covers a wide variety of content from techniques and equipment reviews and interviews. BP, as it is often affectionately called, is a hobbyist magazine whose priority is education in the art and science of photography. Photography is as much about the traditional, as it is about the contemporary. So there are regular features on Great Masters like Henri Cartier-Bresson, Kishor Parekh, Ansel Adams, Homai Vyarawalla, David Alan Harvey, S Paul and Steve McCurry, and at the same time, we also have Better Cellphone Photography, which is possible the world’s first print magazine dedicated to inspiring cameraphone pictures. While we strongly believe in the sanctity of print, this new website is our way of connecting to the world. Photography is going through a very exciting phase at the moment, and betterphotography.in will be your window to the magic and madness that is photography. 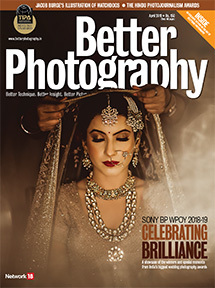 K Madhavan Pillai, the Editor of Better Photography, strongly believes that photography is as much a spiritual journey, besides being a creative pursuit. According to him, photography is not just about patience and contemplation… the act of making a photograph is also a labour of love. Deputy Editor – Technical Shridhar Kunte is the man we turn to, when it comes to understanding any sort of technical knowhow—not just about cameras but also other gadgets and devices. An engineer by heart, he has manufactured some interesting products from scratch, including macro photography solutions, sound-activated triggers and even audio amplifiers. Features Editor Raj Lalwani believes that photography assumes a new meaning every time he looks through the viewfinder. The Editor of Better Cellphone Photography, he is always trying to see the world with two different eyes, one, his DSLR, and the other, his phone. According to him, inspiration lies in the fantastic, the ordinary and in love. Features Writer Conchita Fernandes is almost always found sketching doodles in her notebook. She appreciates the smaller things in life and makes it a point to illustrate her experiences, not just in photographs, but also in her drawings. Features Writer Natasha Desai is often spotted with her cellphone, documenting every little thing around her, maintaining a visual diary of life, as she sees it. Assistant Art Director Santosh D Kamble is a man in a hurry. Ever eager to fire pages to the press, he plays with visuals and lays out articles before we even get a chance to breathe. Assistant Art Director Mahesh Jadhav treats visuals like poems and design like philosophy. His calm and composed demeanour is what gives some sanity to an otherwise hyperactive and chaotic team.